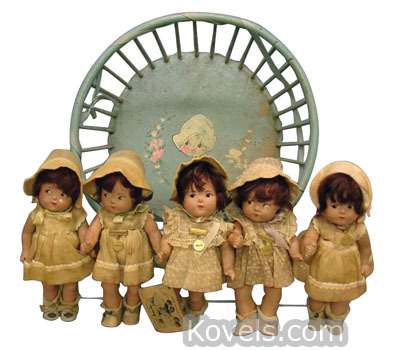 Dionne quintuplets were born in Canada on May 28, 1934. 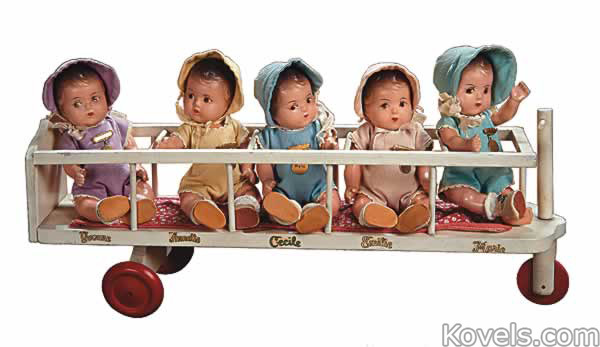 The publicity about their birth and their special status as wards of the Canadian government made them famous throughout the world. 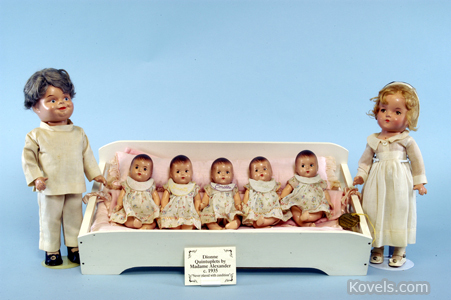 They were the first quintuplets to survive. 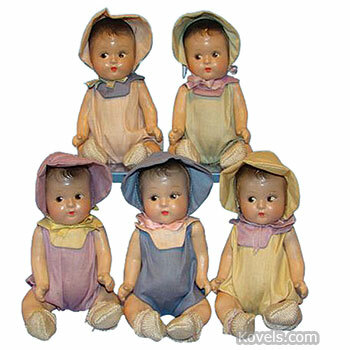 Between 1934 and 1943, millions of tourists visited the quintuplets at their compound. 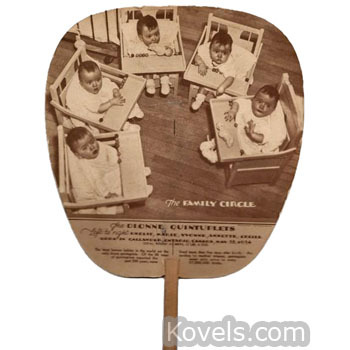 Visitors could watch the girls play; reporters interviewed the girls and the staff. 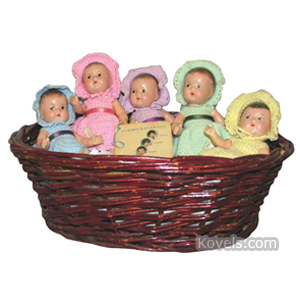 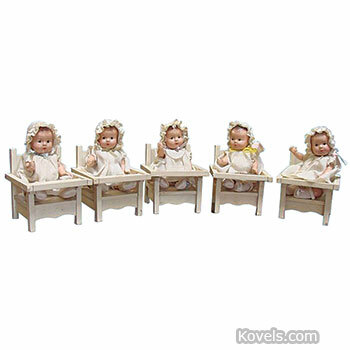 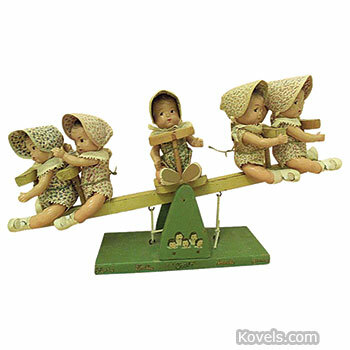 Thousands of special dolls and souvenirs were made picturing the quintuplets at different ages. 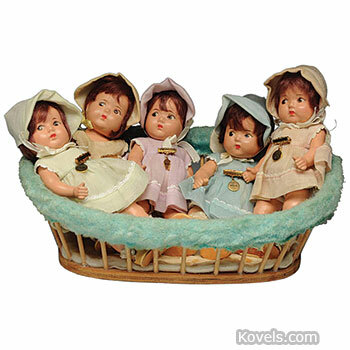 Emilie died in 1954, Marie in 1970, Yvonne in 2001. 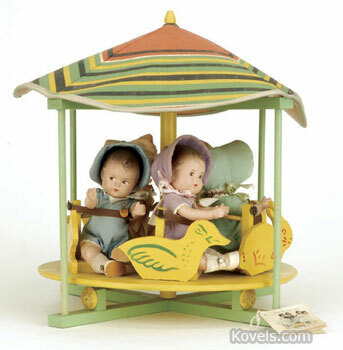 Annette and Cecile still live in Canada.